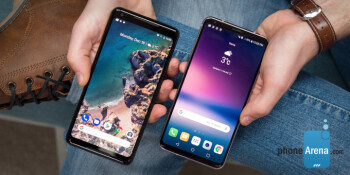 A lot of things happened with phones in 2017, but probably the biggest advances were in the actual design of the phones with a lot of devices now featuring a very minimal bezel and a screen that dominates the whole front of the phone. In 2018, we will probably look at devices with big bezels like a thing from the very distant past as technology marches forward in leaps and bounds. #2: The first foldable phone? The first commercially available phone with a fingerprint scanner embedded under the display glass will come in the first quarter of 2018. Unfortunately, it will not be Apple or Samsung who will be the first with the technology, but instead it will be Vivo, a Chinese company that does not officially sell its phones in the United States. Still, we expect it to be first of many and other mainstream brands may follow suit if the technology works well (and that is one important ‘if’). This first under-screen fingerprint scanner is developed by Synaptics with its Clear ID FS9500 chip, a small CMOS device placed below an AMOLED screen. It illuminates the finger, so that the fingerprint scanner can read the reflections of the finger scan and work its magic. We have been hearing about foldable phones for years and we have seen sloppy attempts from some companies (we’re looking at you, ZTE Axon M), but the technology is finally expected to reach its final stages towards the end of 2018. 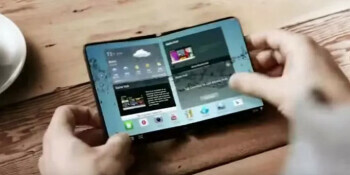 In a leaked slide, Samsung is said to be considering showing a foldable phone at the very end of 2018: the Samsung Galaxy W, but the company has said that it has postponed the actual launch until 2019 as it is working on perfecting the technology and it still has its successful curved Super AMOLED displays around. We do not know much about this foldable phone, but we might finally learn what is the idea behind it towards the end of 2018. Apple is all in with augmented reality. 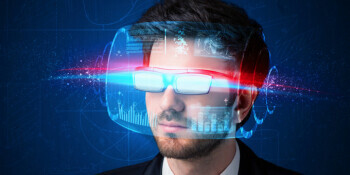 Leaks all agree that the company is actively working on an augmented reality headset, a technology different from the existing virtual reality wearables because it does not require full immersion into a virtual world. It is not yet clear whether Apple will even launch this new headset, but we expect more information to surface about this project throughout the year. The company is allegedly aiming at a 2019 launch for the AR headset and it could come as its next big category that could one day succeed the iPhone. So far, we know that Apple has hired a big team of top industry experts exploring AR. People from the film industry, programmers and other specialists are figuring out the uses of the augmented reality headset and recently, we’ve heard reports that Apple has already placed orders for displays for the glasses at a Chinese manufacturer. Voice assistants are becoming a more integral part of the phone experience and Google with its Assistant is clearly leading the way. The most exciting new development at Google’s voice department is the new ability for the machine to sound almost indistinguishable from a real human speech. 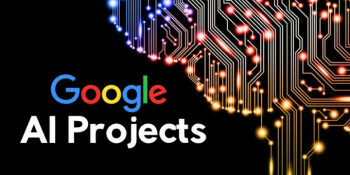 Google published an official paper about this technology, saying that it is possible because of the company’s advancements in artificial intelligence (AI) and machine learning. The research paper is a fascinating read and you can check it out and listen to the actual improved voice here. Amazon leads the way in smart speakers with its Alexa-powered echo lineup, which has become the new US household item in 2017. But all these smart speakers – while useful – do not sound particularly great from a purely music-playing perspective. 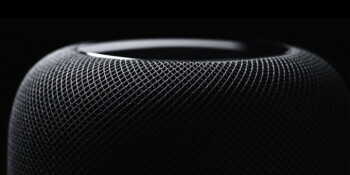 We expect 2018 to be the year of the smart speaker as Apple enters the space with its delayed HomePod speaker, and more and more people start considering higher end options like the Google Home Max. If you have an old Android phones, you now how dire the software update situation is. Android updates arrive late, sometimes never, bugs following the update are not always fixed in time, and – unless you have a Google Pixel phone – it’s just one big frustration. Google has tried for years to fix this, but it might finally succeed in 2018 with Project Treble. 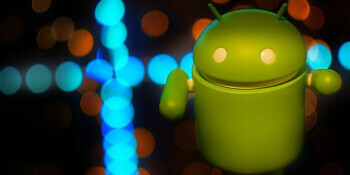 This codename stands behind a massive push to make it easier for Android phone makers to update their phones. It comes as part of Android 8.0 Oreo, but most devices that will be updated to Oreo will not get the feature (we know Samsung’s Note 8 and S8 will not). This means that we have to wait for the new phones of 2018 with hopes that they will finally bring those update improvements. China is no longer the underdog when it comes to phone-making. Huawei, Oppo, Xiaomi are all brands that have grown tremendously and have an original design with a lot of interesting features. Until now, though, you could not officially buy their phones in the United States. This will change in 2018. 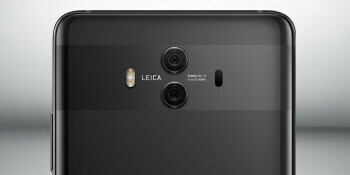 Huawei, the world’s third largest phone maker, has confirmed that it will bring its awesome Mate 10 Pro (review here) to US carriers. AT&T will be the first one to have the Mate 10 Pro in the US this February. Meanwhile, Xiaomi has entered Europe in 2017 with one pilot market – Spain. The company has said that it is planning on expanding to the United States as well, but wants to arrive with a bang and is preparing itself carefully. All of this means more devices and more choice for consumers. Google’s new Pixel phones have two features that make them stand out in a crowded market: fast Android updates and Google’s AI power. AI is a broad term, but Google is making its benefits obvious in very specific ways: the new camera of the Pixel 2 and Pixel 2 XL is among the best we have ever tested, with unprecedented dynamics and night-time performance, but also great all-around. This is all thanks to AI-driven photography. Google’s Photos service also has smarter search and AI is embedded in the very DNA of modern Google services. In 2018, we expect this to continue with the Pixel 3 and 3 XL. In the past couple of years, Apple has transformed its iPad to be more and more a ‘Pro’ device rather than just a tablet, and this effort will continue next year. While iPad sales have been falling, the average price for an iPad has grown and iPad revenue is solid. 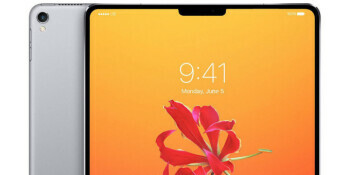 In 2018, we expect Apple to bring a new iPad Pro, one with thinner bezels and Face ID recognition like on the iPhone X. We expect Apple to also tie its new iPad closer to its augmented reality push for the future. The iPad is also becoming more and more of a laptop replacement. The iPad is not a direct rival to Apple’s Macbook, but it is now commonly sold with a snap-on keyboard and even upends laptops with its support for the Apple Pencil. In 2017, we got a surprisingly big boost in battery life on our phones. Battery life among flagships increased by 25% this year when compared to the previous one, according to our proprietary battery test. More advanced chip manufacturing process was the main reason: the Snapdragon 835 that was found on practically all flagships for the year is built on a 10nm process that is much more power-efficient. The upcoming Snapdragon 845 will build-up on the same foundation, but we expect more marginal gains in battery life and better-optimized software from manufacturers. After Samsung’s Note 7 battery fiasco in 2016 and after Apple’s #BatteryGate scandal at the end of 2017, the big phone makers will surely keep a close watch that their phones are safe and performing reliably. These are the 10 most exciting new technologies that we expect to see in phones in 2018. What new feature or technology are you most excited about? We are looking forward to hearing about your favorites in the comments right below.